Dedicated to serving Colorado's travel industry. We share industry trends, lodging deals and anything else Colorado Lodging! Unfortunately Denver isn’t quite in the heart of the Rocky Mountains; after all, the city has to be accessible by airport and the greater masses. The good news is you’re not far from memorable hiking trails that can be experienced in a day’s trip. Here we will highlight a few which I have experience personally. About an hour north of Denver sits Fort Collins, CO. Aside from the obvious attractions, New Belgium and O’Dell’s breweries, this town has a lot to offer; including a hiking trail that can be accessed in 20 minutes from downtown Fort Collins. Horsetooth Mountain is a perfect trail for families and all ages. Some people do bike the trail, though it is not an easy incline; there are bike specific access trails. 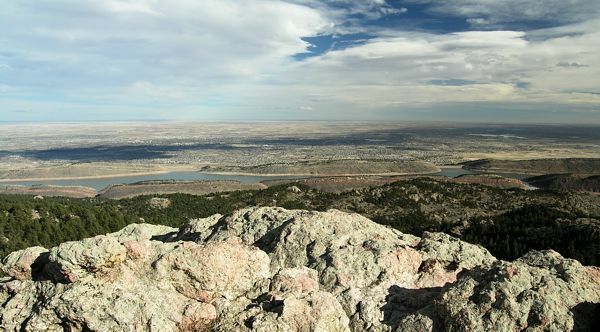 The top of this hike is a gorgeous rock face that is easily accessible and overlooks the Horsetooth Reservoir and the city of Fort Collins (and beyond). Just down the road from Horsetooth is Bobcat Ridge Natural Area. Bobcat Ridge is a much more relaxed setting. While still enjoying the outdoors Bobcat Ridge’s hiking trails are generally flatter and bring you deeper into the grassy valley, foothills and extensive wildlife including turkey, mountain lions and elk! Bobcat Ridge also offer’s several biking trails that are suitable for most levels of experience; assuming you are comfortable with trail riding. Both Horsetooth and Bobcat Ridge permit horses on some of their trails, (Each cost about $8 for parking and entrance). Even closer to Denver is Boulder, CO, home to the University of Colorado Buffaloes! The university alone is enough reason to come visit Boulder. The campus is spectacular and located right at the base of the Rocky Mountains. Head towards those mountains and you’ll quickly find yourself deep in some of Colorado’s prettiest national parks. One I would like to feature is El Dorado Canyon State Park. El Dorado State Park is located through the quiet little town of El Dorado. I spent this past weekend with a friend exploring the endless terrain in El Dorado Canyon State Park and found myself blown away by the fact that this trail is a mere 15 minutes from CU-Boulder. Along the drive we passed 2 or 3 separate trails including Homestead Trail/Mesa Trail Loop (very mellow, flat hike) and the South Boulder Peak Trails which are very popular and all lead to the same peak; which overlooks the city of Boulder. After passing these trailheads and crowded parking lots, we continued heading toward what seemed to be nowhere. After 10 minutes or so we approached the town of El Dorado, we were hesitant to proceed, wondering if we passed the trail; the road turned to dirt and was filled with potholes so large you could take a bath in some of them along with a little sign that says, “Go Slow in Eldo.” We decided to proceed and as you slowly creep through the town you’ll wonder where you are, but don’t worry, keep going! On the other end of the town is the entrance to the National Park (there’s an $8 fee for parking). My skepticism turned quickly to optimism as I looked around the canyon and couldn’t believe my eyes. It’s filled with gorgeous red rocks on all sides, there’s parking all over the place and about a dozen different trails to choose from. Aside from that there were people climbing EVERYWHERE!! Thousands of feet up—tons of hooks already set and endless routes to choose from. El Dorado Canyon is a climber’s dream—whether you’re climbing vertically or bouldering, “Eldo’s Golden Cliffs” are sought out by climber’s from all over the world. The park also features fishing, a beautiful river and so many trail heads I couldn’t count them all. We proceeded to take a more standard hiking route and enjoyed a 5 mile hike where we were able to explore off the trail a little bit and enjoy the park. There’s lots of interesting features to enjoy along this hike including beautiful rock faces and an incredible view of the mountains. The park has hikes for all skill levels, they range from about 1.5 miles-9 miles depending on the trail/loop you choose to take. 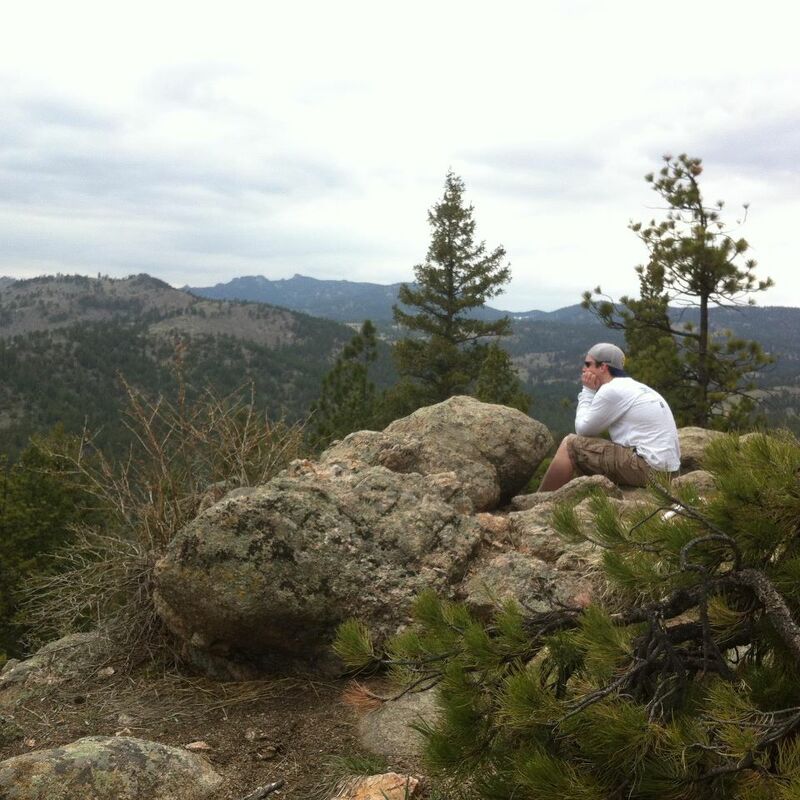 While there are certainly more trails accessible from Denver in a day, these are a few I have experienced personally and highly recommend to anyone who enjoys hiking and the outdoors. I have included some links for more information on these hikes below. Is your Wi-Fi fast enough?